Everyone wants their bedroom to look as lavish and cozy as the ones displayed on any well-known home décor orinterior design magazine’s glossy pages. However, often you are compelled to restrict your desires and wishes due to budgetary constraints. This could be pretty frustrating. If you wish to fulfill your lofty dreams, you must never lose heart or give up. Instead,you could focus on infusing an element of style and elegance to your bedroom décor that really looks classy and expensive too. Here are a few smart tips that would be adding a touch of class without burning a hole in your pocket. Remember that a dirty room could never impress anyone and could never look lavish or attractive even though you spend a fortune on the furnishings. You have to get rid of bad clutter such as unmanaged electrical cords, dirty clothes lying on the floors, scattered paperwork and unopened mail etc. The good clutter could be stacks of neatly arranged journals, books, and magazines, or paintings and art that are made to rest against the wall or even side table trays that are full of objects. A bed arranged neatly and made perfectly is the hallmark of a luxurious bedroom. Most of you undermine the importance of doing up the bed. To give your bed nice feel and a finished look use two bed sheets and fold the top sheet’s edge neatly over the duvet to give an attractive and polished appearance. If you are really keen on upgrading your bedroom and give it an expensive look and style, you may buy a few new sheets and avoid the usual white sheets. You may opt for taupe or gray instead and make the room look as nice and classy without worrying much about the maintenance and upkeep. Remember when you are opting for a luxurious bedroom décor, your bed must be regarded as the center stage. The bedroom must be beautifully done up with complementary bedding, curtains and pillows. You must first of all, opt for a firm and supportive mattress. Use luxurious Egyptian cotton bed sheets, and organize a down comforter. You must revamp the room with furniture that is compatible to the overall bedroom décor. Browse lucid mattress review for perfect mattress buying solutions and learning more. 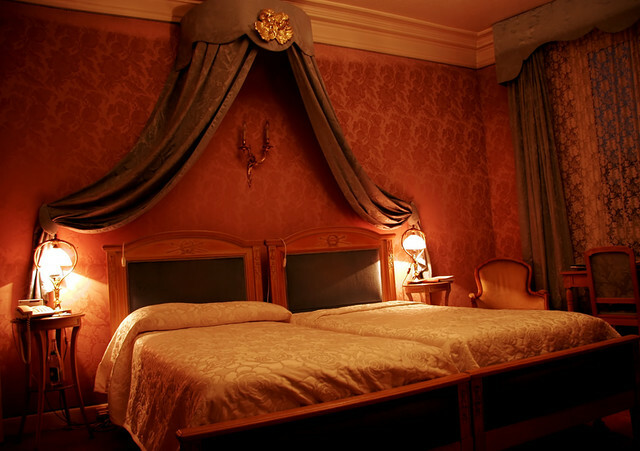 You must have a Queen or a King bed with a rich and luxurious looking headboard. 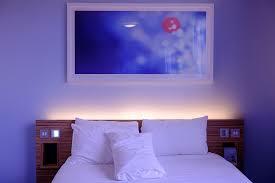 The bedroom décor should best be left to the professional interior designer. The bedroom should be having side tables with decorative side lamps on either side of the bed, two comfortable chairs, a functional wardrobe that looks gorgeous and a television that is placed in a classy cabinet. If you want your bedroom to look expensive, do away with the ordinary ceiling fixture. Get a brilliant substitute for it. Opt for a chic hanging light which could be a drum-shaped fixture or a pendant, a sleek chandelier etc. that would draw everyone’s attention. You only need to ensure that the light is in sync with the rest of the stuff in your bedroom and that it gives a whole new dimension to the furnishings. Get rid of your dull and boring lampshades and replace them with interesting and attractive lampshades that come at bargain prices. Upgrade your bedside lamps and add an element of style and luxury to your bedroom. You could buy a shade that has metallic accents, or a fascinating pattern or one in rich and vibrant colors. Give your bedroom décor a real boost by adding a statement piece to demonstrate that it is notan ordinary bedroom. It surely belongs to a special person. You could use a wonderful artwork placed right over the headboard or an antique quilt that is strategically placed on your bed to draw all the attention or a stunning decorative piece on the dresser or a striking area rug. You must choose something that expresses your style and personal taste. Author Bio: Mandy Bular is a freelance content writer. She has written many good and informative articles on different categories such as technology, health, fashion, career, travel etc. She is a featured author at various authoritative blogs in the health and fitness industry and currently associated as a blogger with https://sleepsherpa.com/.